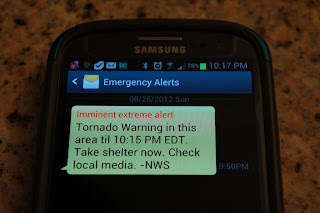 Tonight, as Tropical Storm Isaac passed into the Gulf of Mexico, safely to the west of my South Florida home, after a dreary, rainy day, I was sitting at the kitchen table watching HBO GO (catching up on The Newsroom) on my Android phone when suddenly I heard that familiar "warning" tone. But my TV was not on. Then the message above, popped up on my phone's screen, pausing Aaron Sorkin's pithy banter midstream. Within minutes, I could hear the wind outside winding up... things outside rustling and shaking and moving. The dogs, inside for the day, huddled together, happily not out in the yard, where surely their dog house would soon be airborne a la The Wizard of Oz if indeed the tornado threat proved to be real. I was not aware that the Emergency Alert System had gone mobile, but I am glad it did. Like many of you, my smartphone is practically a physical extension of myself, a near permanent appendage, by my side more than my most loyal of pets. 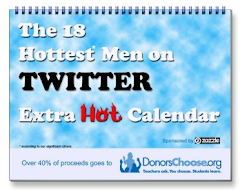 I am naked if not accompanied by my handy Android, and based on countless studies and statistics I am not alone. So it makes perfect sense for emergency warnings to move from our kitchens and living rooms to our pockets and purses. It makes perfect sense to take advantage of the fact my phone is far more location aware than my TV... To make sure warnings can be targeted and accurate, to be delivered into the hands of those who most need the information. Sure enough, as the warning predicted, right around 10:15 the winds calmed down. If there was a tornado in my area, thankfully it did not make its way into my yard. 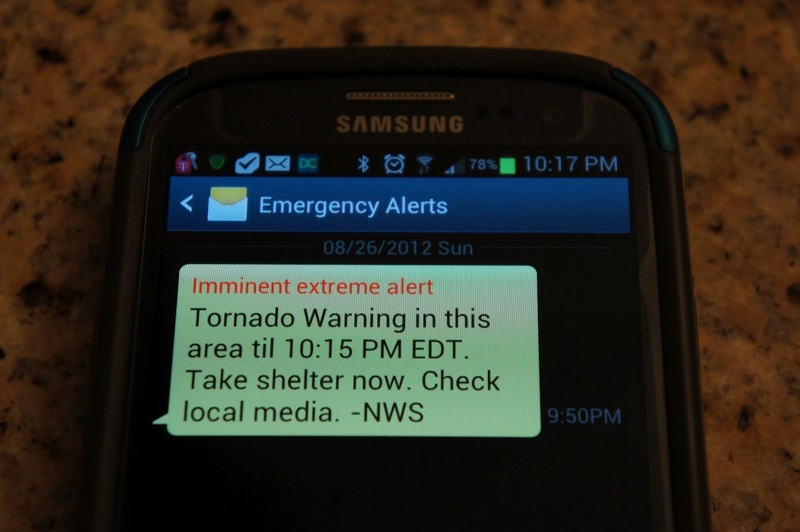 Have you ever received an Emergency Alert on your phone? I recently was fortunate to attend an information and inspiration packed event in NYC. The theme of the event was "Abundance" and the roster of incredible speakers included everyone from science and tech stars such as Ray Kurzweil, Dr. Neil deGrasse Tyson, Peter Diamandis, media giants like Arianna Huffington and Steve Forbes, best-selling author Neil Strauss, and countless others over two packed and powerful days. I took more than 20 pages of notes at the event, which I am sure will fuel a number of blog posts here over the coming weeks. 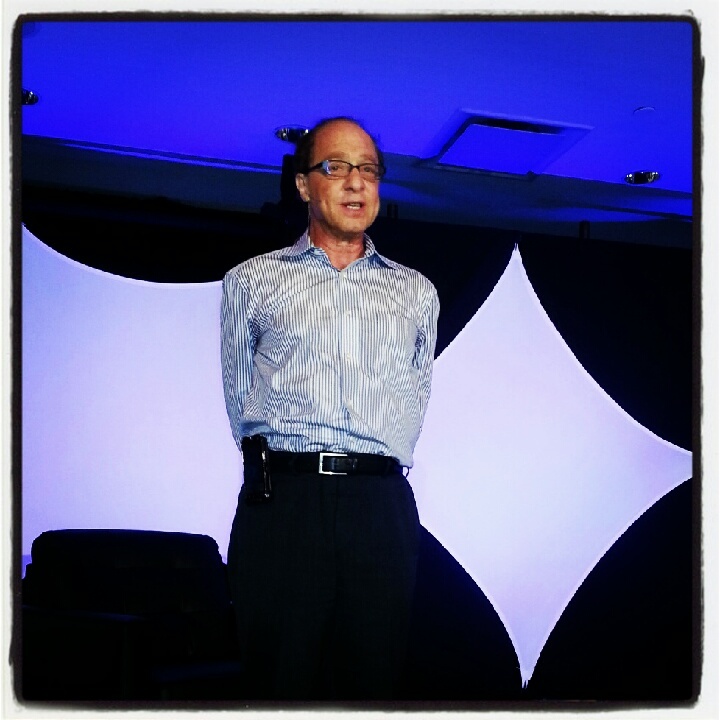 One of the highlights (of many) for me was to hear inventor and futurist Ray Kurzweil speak. I have long been a fan of, and fascinated by, his works and visions of the future. As an avid science fiction fan it is hard not to want Kurzweil's vision of Transcendent Man to come to fruition (and science fact seems to increasingly be on Kurzweil's side). His talk focused on "how to create a mind" and how "you are what you think" and, thanks to technology, the advent of our "expanded mind." Heady stuff about exponential growth, abundance, and both the true power of our human brains and the shortcomings that technology will help us overcome. While the theme of the event was Abundance, many of the very successful, highly motivated speakers shared their personal stories of how they are motivated and maintain their focus to keep their businesses and personal lives moving forward. Quite a few referenced meditation as an essential part of their daily routines. Feeling inspired myself, I was reminded that, back as a senior in High School, I went through the Transcendental Meditation program and practiced "TM" for a number of years thereafter. I don't exactly recall when (or why) I stopped meditating, but it was certainly a decade or two ago. Repeatedly hearing of the benefits of meditation from so many provided the social proof I needed to reengage myself with the process. As I sat in the audience the conclusion for me was clear. I should start meditating again. In order to get back into meditation it was clear to me that I had to figure out a way to make it an inexcusable part of my daily routine. I had to make meditating a habit, not a goal or an aspiration. For my work with gapingvoid we recently put together a presentation on some of the science behind changing behavior through visual communications. We cite neuroscience expert Robert Cooper whose work on behavior change highlights the importance of creating habits to effect change. His line, "habits eat intentions for breakfast" resonated with me, and the intention to begin meditating again seemed like the perfect objective with which to prove Cooper right. So how was I going to turn meditating into a habit? Since the singularity is near, I turned to my extended robot brain, my (aptly named) Android smartphone, and sure enough found the perfect app to help me reintegrate meditation into my daily life. There were actually many choices, but based on ratings and reviews I installed Meditation Helper Pro by Neill Alexander. What I love about this simple program is that it instantly makes you accountable by adding a widget to you phone's desktop that shows how many days in a row you have meditated, and your longest stretch of continuous days meditating. This little reminder system, inspired by Jerry Seinfeld, has made it easy and fun for me to begin meditating regularly (going on 10 days now...). The app lets you set the duration of your meditation sessions, marks the start and end (and other points at your option) with a soothing gentle bell, and best of all, during your meditation time it puts your phone into airplane mode, so there is no chance of being interrupted or disturbed by the beeps and buzzes of our connected world. Meditation, by definition, should be a respite from all the "noise" and this app, for me, is a great way to help create the right environment for some peaceful moments of meditation, twice a day, every day. I may not yet be a transcendant man (yet), but I am well on my way to becoming a meditating man... and hopefully the better for it. Do you meditate? If so, what is your method for making it part of your daily routine? Please share your thoughts in the comments.